Welcome to the Heritage Hunt Club, located in the heart of the Nicolet National Forest, ideally situated in some of the best hunting and fishing area of the north. Heritage Hunt Club offers 640 acres of corn and sorghum fields and natural habitat, dedicated to providing the finest in upland game cover. The Heritage Hunt Club is situated on the scenic Rat River, an abundant wild rice area. Heritage Hunt Club is a full service club including kennel and bird cleaning facilities. 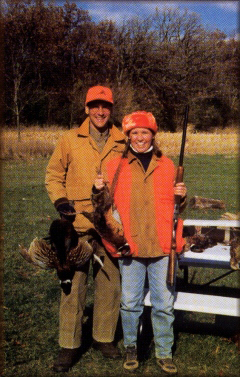 Heritage Hunt Club offers individual and group or corporate memberships. It is also open to the public on a daily fee basis. Large group outings are welcome. Custom hunt packages are also offered which may include lodging, guide and dogs. Lodge accommodates up to 8 people.